Clements Pond, part of the Wilmington Wild Forest, can be reached on a 1.5-mile lightly trafficked trail which ascends about 650 feet before dropping down to this scenic pond with nearby Clement Mountain rising 900 feet above it. The pond is stocked with brook trout and has a surface area of 2.6 acres. » Continue Reading. 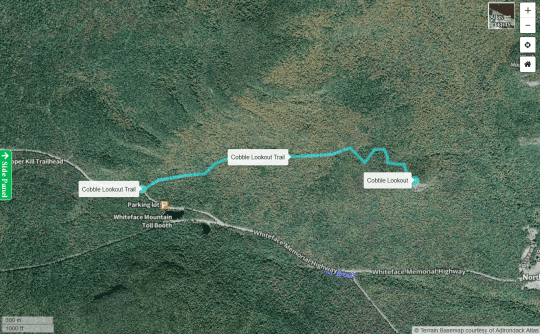 More than 1.5 miles of bike trails, including a new loop opportunity, have been added to the Beaver Brook Trail Network in the Adirondacks. The trails are part of the Wilmington Bike Trail Network located on Forest Preserve lands in the Wilmington Wild Forest in the town of Wilmington, Essex County. 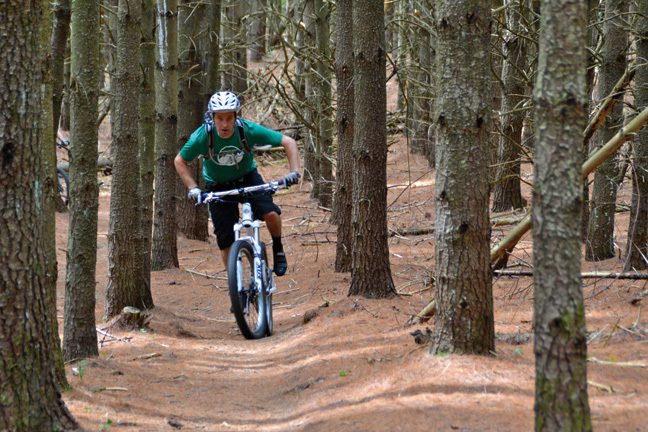 The new trails were built under contract or agreement with and supervision of DEC. 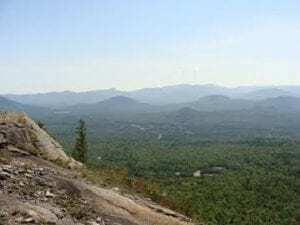 The new 1.0-mile Ante Up Trail was constructed by Adirondack Mountain Club Professional Crew (ADK Pro Crew) and Barkeater Trail Alliance (BETA) volunteers. The new 0.25-mile Beaver Brook View Trail and a new 0.3 mile section of the Lost Farm Trail were both constructed by BETA volunteers. DEC also contracted with the ADK Pro Crew to construct a bridge over Beaver Brook that completes the loop on the Lost Farm Trail. This summer an Excelsior Conservation Corps work crew will improve the Beaver Brook View Trail to meet accessible trail standards to provide access for people with mobility disabilities. » Continue Reading. 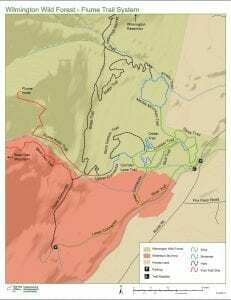 The Lake Placid Land Conservancy (LPLC) plans to create a community preserve in the Town of Wilmington that will include two miles of recreational trails open to the public. 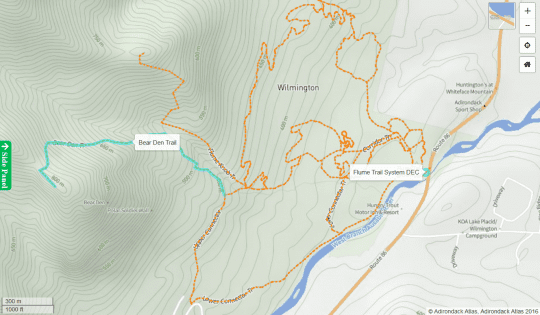 The project will create a connector trail between the hamlet of Wilmington and the existing public land and trails on the Beaver Brook Tract of the Wilmington Wild Forest located on Hardy Road. LPLC anticipates closing on the properties to create the preserve by the end of March, 2017. » Continue Reading. 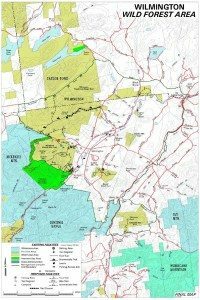 The Wilmington Wild Forest Unit Management Plan Amendment has been approved by the Adirondack Park Agency and the NYS Department of Environmental Conservation. 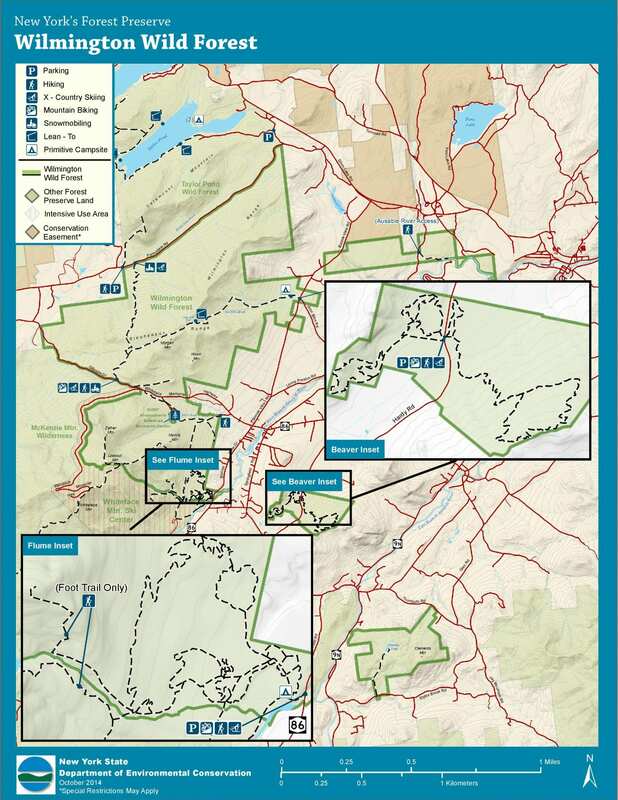 The Amendment, submitted by DEC and declared in conformance with the Adirondack Park State Land Master Plan by the APA, provides for rerouting some trails, developing 4.8 miles of new mountain biking trails, and constructing two additional parking lots. 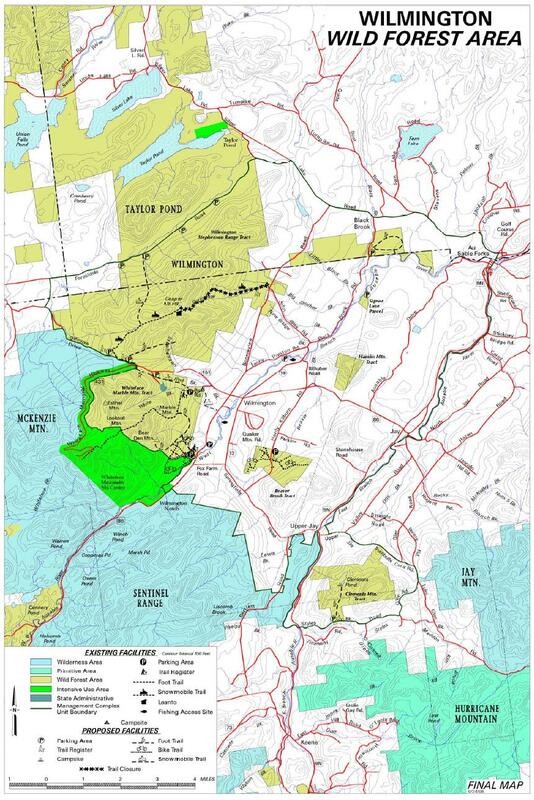 The Wilmington Wild Forest consists of 16,900 acres of state forest preserve lands in towns of Wilmington, Jay, Saint Armand and Keene in Essex County and the town of Black Brook in Clinton County. 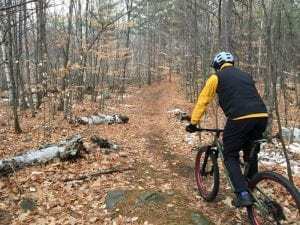 There are currently more than 20 miles of mountain biking trails in the unit along with snowmobile, cross-country skiing and hiking trails, and campsites and parking areas. » Continue Reading. 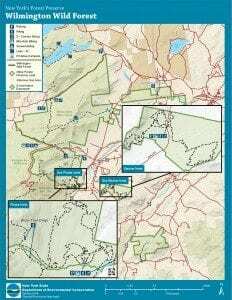 The Adirondack Park Agency (APA) is accepting public comment for proposed amendments to the Wilmington Wild Forest Area Unit Management Plan (UMP) Amendment. The Wilmington Wild Forest Area is located in the Towns of Wilmington, Jay, Keene, and Saint Armand in Essex County and the Town of Black Brook in Clinton County. The UMP covers about 17,000 acres across several detached Forest Preserve parcels. The core area is located on the east-facing slopes of Whiteface Mountain between the Whiteface Mountain Ski center and the Whiteface Veterans’ Memorial Highway. The APA will accept public comment regarding Adirondack Park State Land Master Plan conformance for this amendment until June 10, 2016. » Continue Reading. The Wilmington Wild Forest management plan was completed in October 2005. 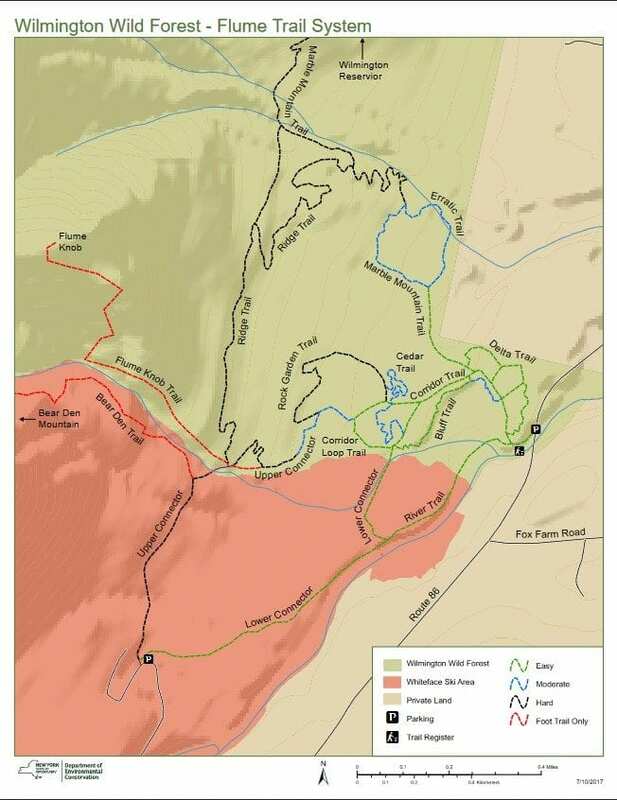 The plan provided for the design and construction of multiple-use recreational trails. 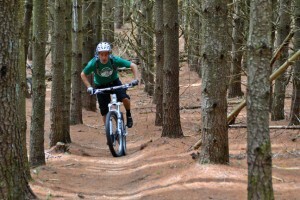 Over the past 10 years these trails have been built. 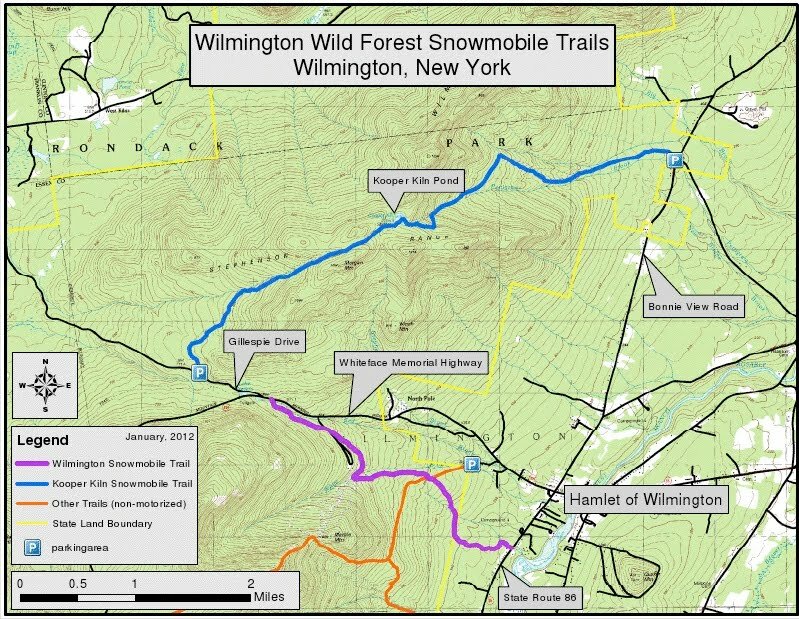 The New York State Department of Environmental Conservation is now planning to amend the Wilmington Wild Forest Unit Management Plan (UMP) to reroute some trails, add others, build two more parking lots and more. Public comments are being accepted through January 22, 2016. The Draft Plan Amendment and a copy of the presentation made to the Adirondack Park Agency by the DEC are available online. Among the proposals in the new management plan are: » Continue Reading. 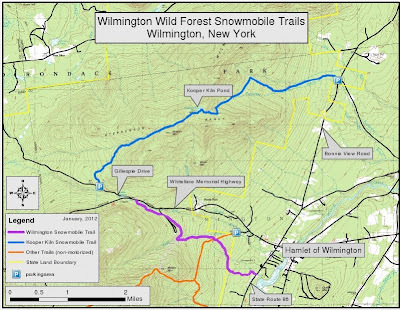 New York State Department of Environmental Conservation (DEC) Regional Director Robert Stegemann has announced that the Wilmington Wild Forest Unit Management Plan (UMP) will be reopened in order to expand mountain biking and snowmobile trails within the Wilmington Wild Forest. DEC has partnered with local governments and volunteers to build a number of trails and trail systems since the UMP was approved in October 2005. Currently, there are approximately 33 miles of trails with 23 miles open to mountain bikes and eight miles of snowmobile trails – including a connection to the Adirondack/North Country snowmobile trail network. » Continue Reading. 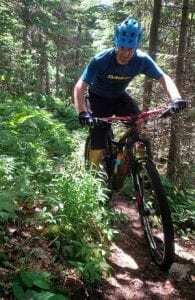 I’m following Keith McKeever and his friends up a mountain-bike trail on a bright summer afternoon. The trail climbs smoothly but unrelentingly as it switchbacks up the side of Winch Mountain in Wilmington. I’m feeling good at first, legs spinning, tires grabbing the soil. But after a few minutes I start to feel an ache in my chest, my breathing gets more labored, and my speed falters. Soon I come to a stop. Sweat drips off my forehead as I hunch over the handlebars and re-oxygenate my lungs. Keith looks back as he turns up the next switchback. “Nice job!” he yells. “You’re almost halfway up.” Then he disappears around the bend. » Continue Reading. A new snowmobile trail segment has been completed connecting the hamlet of Wilmington’s business district with a trail that leads to the remote Cooper Kiln Pond in the Wilmington Wild Forest. 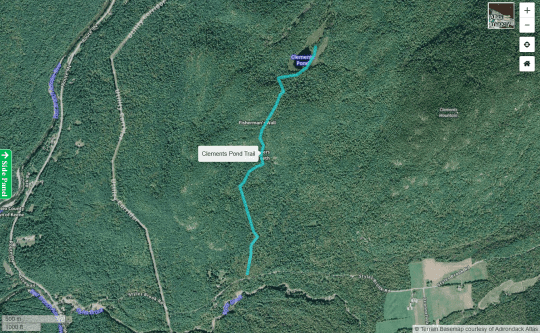 The new three-mile trail segment will allow snowmobilers to travel from the Essex County hamlet, connect with the previously existing Cooper Kiln Pond Trail and travel another three miles to the pond. It creates a 12.6-mile round trip snowmobiling opportunity. » Continue Reading. There will be a meeting to discuss Wilmington’s recreation options now and in the future and to develop a Wilmington Recreation Plan on Thursday, February 24th at 7:00 PM at the Wilmington Fire Station Meeting Room. The purpose of the meeting is to gather residents to identify Wilmington’s recreation resources and determine what resources currently exist; current and future project needs; priorities; how residents can work together to develop and maintain their resources; available funding; and what kinds of information residents and tourists need to take the best advantage of local recreation resources. Speakers will include Town Supervisor Randy Preston, who will provide an update on current recreation projects; Highway Superintendent Bill Skufka, who will discuss roadways for bikes and pedestrians; Matt McNamara on Mountain bike trails; Carol Treadwell, who will provide an update from the Au Sable River Association; Department of Environmental Conservation Forester Rob Daley, Wilmington Wild Forest’s Unit Management Plan; Josh Wilson, of Rural Action Now/Healthy Heart Network on shared roadways and a recreation plan model; and Meg Parker of the Wilmington Youth Commission, who will discuss the Park.